Mountains and Moose and Bears, Oh My! 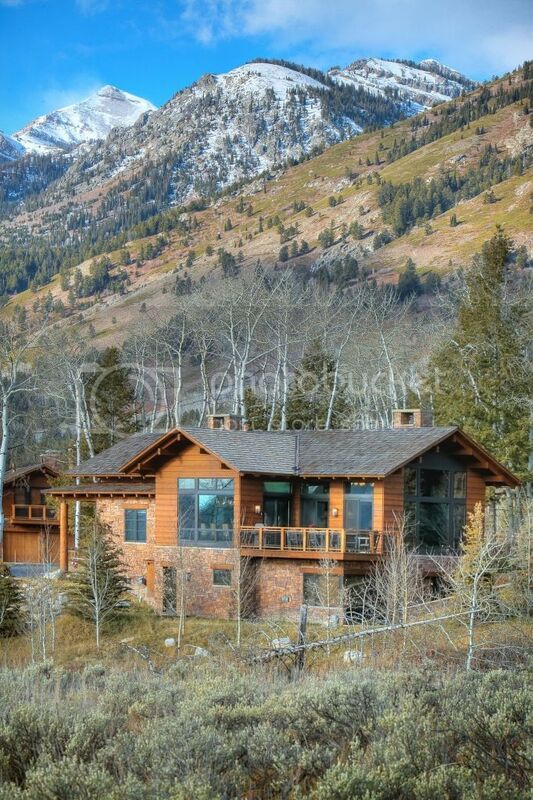 It was a long October weekend, and we had decided to head to Jackson Hole. My family and I love to ski, so although it wasn’t the season, we viewed this as a good scouting expedition. The car trip from Minnesota across South Dakota was pretty uneventful, until we crossed the Missouri River. The terrain suddenly became more sculpted and hinted of mountains. The four of us arrived in Jackson at night, picked up a few goodies for the next day, and made our way through intermittent fog several miles along the Snake River to Teton Village, the slope-side hamlet of Jackson Hole Mountain. The carved wooden bear at the front door welcomed us and confirmed we had made it to Bear Paw Lodge. When morning came, I was anxious to see the surroundings. I looked out of the floor to ceiling great room windows to a gorgeous view of Sleeping Indian Mountain, when some movement in the foreground caught my eye. A lone moose was munching tall grass about 100 feet away on a neighboring rise. Teton Village was an easy walk from Bear Paw, and the weather was crisp and clear, so after breakfast we took a stroll to the village center, the concert hall, and the base of the Teewinot Tram. I suppose we were all curious about the ski runs so our walk soon turned into a trek, kids leading the way to the top of the tram and summit of Rendezvous Peak. The scenery and quiet were striking. As spectacular as the views of the valley and the snow-covered mountains were, I think the free flow of wild animals was the highlight. Our concierge, Meredith, tipped us off that the best viewing of animals was at twilight. Following her instructions, we drove into Teton National Park at dusk. It wasn’t long until we spotted an enormous herd of antelope. We watched them graze for a while, and then learned from other onlookers that moose were to be found in the river. So off we went. By the time it got really dark, my daughter and I decided we had had enough fun and walked back to the security of the car. 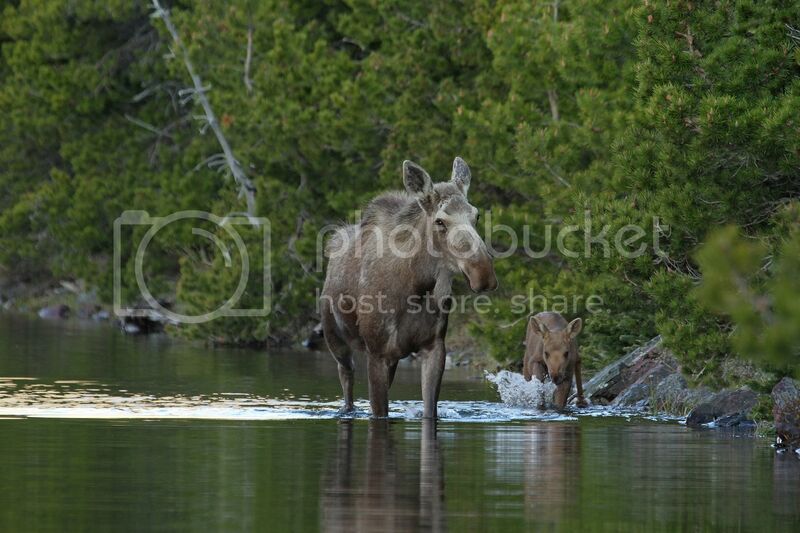 My husband and son nevertheless ventured down the river banks and managed to get pretty close to a mother moose and her calf wallowing in the water. The south entrance to Yellowstone is about 60 miles from Teton Village. Making our way the next day toward the geysers we skirted Jackson Lake, where the Grand Tetons rise out of the crystal waters. It was a magnificent setting to skip some stones. We felt lucky when Old Faithful treated us well by performing its magic within two minutes of reaching the geyser area. My most vivid memory of the entire excursion was encountering a herd of buffalo on a narrow two-way road as we left Yellowstone at night. At first it didn’t seem the big animals cared much that we were there. Drivers from both directions lined up since the buffalo didn’t let us pass. But the mood changed dramatically when an impatient driver leaned into her horn. We turned our attention to the buffalo which, two cars in front of us, started to paw at the ground, tilted their massive heads downward, and spewed vapor out of their nostrils. I thought we all might have been the object of a stampede, but fortunately they didn’t charge and very slowly made room for the honker, and then the rest of us. Now we felt really lucky. We keep a couple of rocks from Jackson Lake in our kitchen. And hope to go back to Jackson with skis.